New Life Center | The Center’s holistic approach treats and educates youngsters born with HIV/AIDS and their parents. 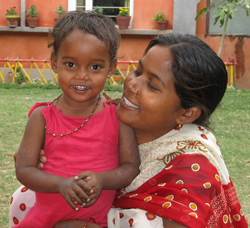 We enable HIV-positive children to live full, meaningful lives and we teach their parents to keep them healthy. Dietician Training | The Nepal Youth Foundation is initiating the first training course in Nepal for dieticians. We will train the staff of hospitals, organizations, and schools to provide healthy meals to people throughout the country.